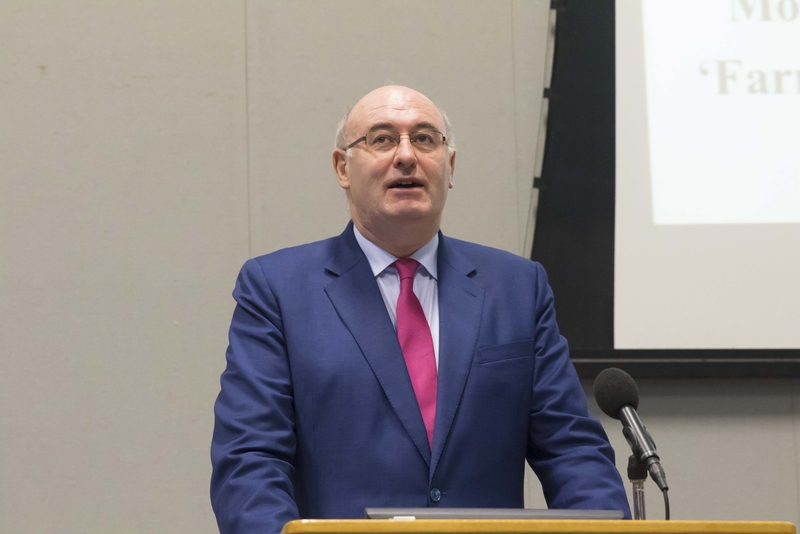 The EU Commissioner Phil Hogan met with representatives from Waterford Institute of Technology and Trinity College Dublin in Brussels earlier this week to discuss plans to develop technology in agriculture. The EU Agricultural & Rural Development Commissioner was the keynote speaker at the “Europe’s Opportunity in Digital Agriculture” workshop, organised by WIT’s Telecommunications, Software and Systems Group (TSSG) together with SFI CONNECT partners and attended by major leaders in policy, industry and academia. Olof Gill, spokesperson for the Commissioner said that agriculture is a huge untapped area for technological innovators. "We live in a highly connected, very technologically innovative world but agriculture - there hasn't been enough of an uptake in the sector yet. "So there are lots of really good technological initiatives in the sector, apps and sensors and all that kind of stuff, robots, drones, but we have yet to witness a wider uptake in the broader farm communities," he said. Along with Mr Hogan, other leaders from the European Commission spoke on the day with Mario Campolargo, Director of DG CONNECT, WIT’s President Prof Willie Donnelly and Prof Linda Doyle of Trinity College Dublin and CONNECT attending on the day. It was envisaged that the event be a platform for networking and dissemination of H2020 successes and opportunities from National Contact Points, Project Officers, industry and other interested parties who want to get involved in EU research and innovation. Horizon 2020’s multi-actor and innovation focus requires research institutions, industry and society to come together in new ways. In supporting the drive towards smart farming as an important contributor to feeding growing populations and in line with the overall CAP objectives, “Europe’s Opportunity in Digital Agriculture” specifically aligns with long-term strategic objectives for EU rural development policy from 2014-2020. These include fostering the competitiveness of agriculture and achieving a balanced territorial development of rural economies and communities including the creation and maintenance of employment. TSSG's aim for the workshop was to bring together people from both the agricultural and ICT industries so common opportunities could be identified and the potential captured as a national strategy geared towards developing an export focused Digital Agriculture industry.